If you want to learn how to collect important user data from your customers and present it in the form of a Persona, then this short course is for you! This course will go over how to make a persona from a UX perspective which could be applied to any field that has customers/users. A User Persona will be made based on an example I laid out. User Persona templates are recommended in the course as well as how to collect information for them in an easy way. 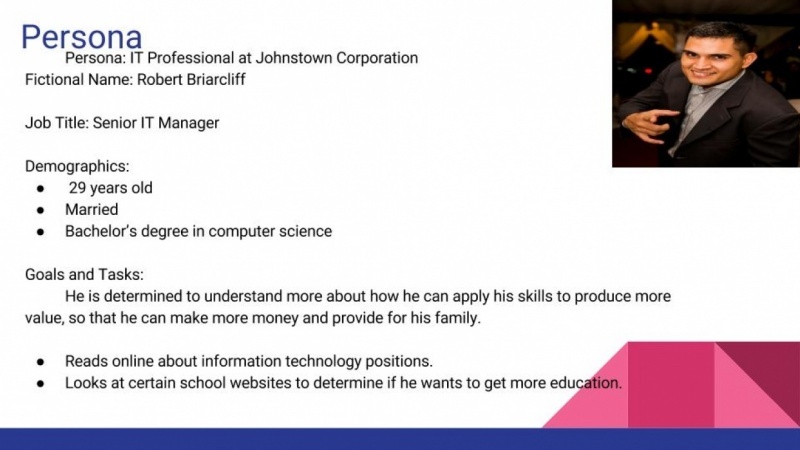 Kris graduated with his Bachelor's in Psychology (with a minor in Cognitive Science) and then earned his Master's in Human Computer Interaction at the State University of New York at Oswego. How to Perform a Cognitive Walkthrough for Your Product or Service in Under an Hour! Learn How to Create an Affinity Diagram for UX and Other FIelds in Under 20 Minutes!